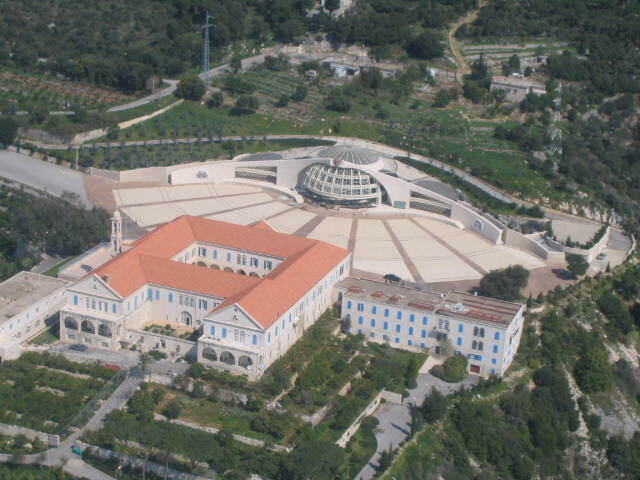 In the first message of Pope John Paul II calling for the convocation of a Special Assembly for Lebanon of the Synod of Bishops, the Pope called upon "the Catholic Churches of Lebanon (to) question themselves, in the Lord's presence, about their fidelity to the Gospel message and their commitment to live up to it with truthfulness and consistency." 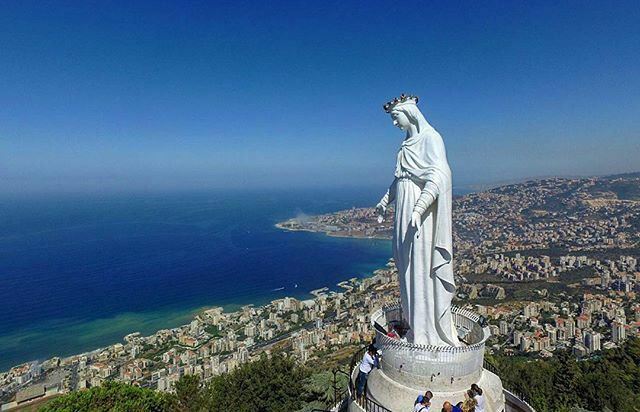 He invited Lebanese Muslims to see in this the effort of their Catholic fellow citizens to "draw closer to them in a society of genuine, peaceful coexistence and sincere collaboration for the reconstruction of the country." (General Audience, Vatican, June 12, 1991). 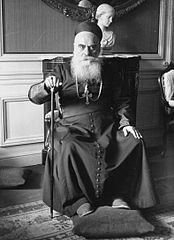 In his fourth message, the Pontiff stated that "the Catholic Churches of Lebanon ought to question themselves on their fidelity to the evangelical message and to their commitment to live by it with consistency...to make every effort in order to rediscover the roots of their faith in view of a spiritual renewal of their communities." 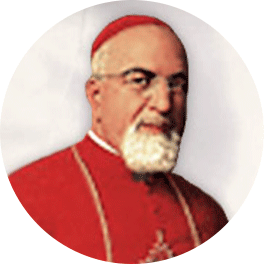 (Letter to the Catholic Patriarchs, Archbishops and Bishops of Lebanon 20, 1992). 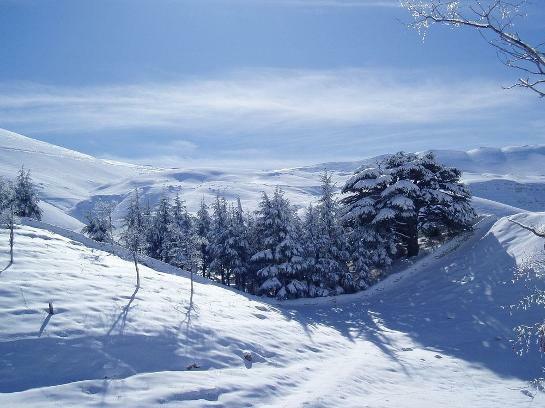 Lebanon shall be changed into an orchard, and the orchard be regarded as a forest! Byblos is the home of the phonetic alphabet. One of the oldest alphabetic inscriptions was found there on the tomb of King Ahiram who lived and died sometime between 1250 and 1000 B.C. 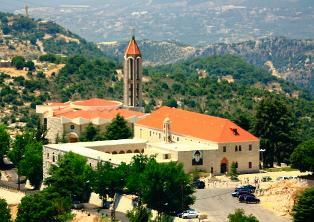 Byblos is the birthplace of the book and the place for which the Bible was named. The Greeks made pilgrimages to Byblos to worship Adonis. 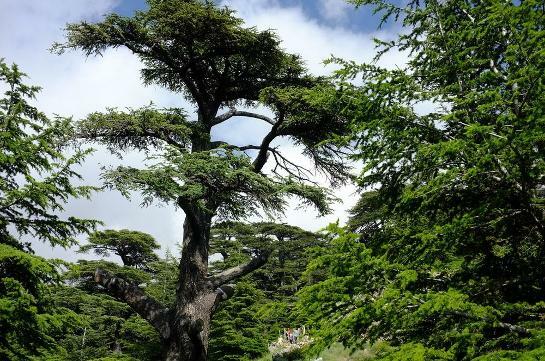 The Egyptians called it Gubla and recorded that Isis found Osiris in a cedar log from Gubla. There was contact between Byblos and Egypt from the first dynasty. 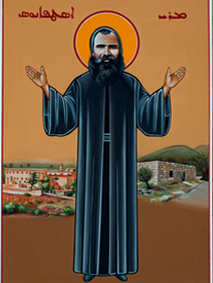 The bible calls it Gebal (Joshua 13:5) and the Lebanese call it Jubayl, a reflection of its ancient Canaanite -Phoenician name. For centuries, this town was so famous for its navigational skills that sailing ships on the Mediterranean were called giblets. 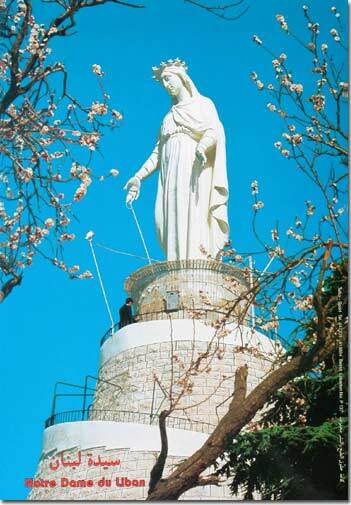 In 4000 B.C., Byblos was an important commercial and religious center and the people were renowned as the best sailors in the world.They were the first to use the Polar star as a navigational aid. They discovered the Atlantic Ocean and, under the reign of Pharaoh Neccho of Egypt (609-593 B.C. ), they circumnavigated the continent of Africa. They were noted for their skill as shipbuilders (Ezekial 27:9). The people of Gebal were expert stonecutters (Kings 5:28) and were requested by King Hiram of Tyre and King Solomon of Israel to prepare great stones for the building of the Temple in Jerusalem (Kings 5:17). Standing in the excavations of my ancestral home town of Jubyal (a.k.a. 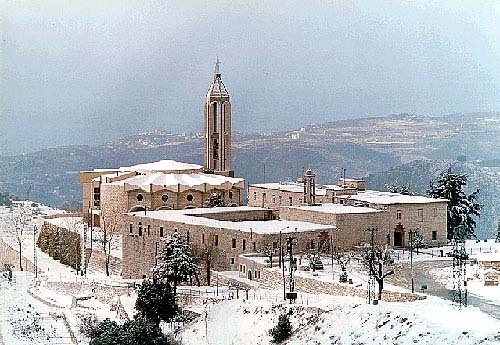 Byblos, Gebal, Gubla), I reflected on E1, the Creator, the Father Almighty, worshipped there five thousand years ago. Yahweh of the Hebrews was known by the priests of Byblos as Baalsamin, the Supreme Lord; El was known to Abraham as El Elyon, God the Most High. When Abraham arrived in Jerusalem, he was greeted by Melchizedek in the name of God the Most High (Genesis 14:19). The God of Abraham was worshipped in the land of Canaan before the time of Abraham in Jebusite Jerusalem and in Canaanite-Phoenician Byblos, Overcome by the sanctity of this shrine, I whispered words uttered two thousand years ago by a Nazarene, "before Abraham came to be, I AM" (John 8:58). And I could understand. Before all ages, in the beginning, he created me, and through all ages I shall not cease to be. 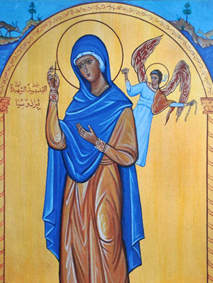 In the holy tent I ministered before him, and in Zion I fixed my abode. Thus in the chosen city has given me rest, in Jerusalem is my domain. I have struck root among the glorious people, in the portion of the Lord, his heritage. 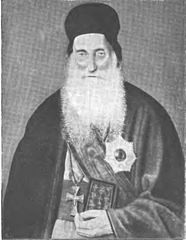 Abraham left his homeland in what is now Iraq and traveled to the land of Canaan in about 1850 B.C. My maternal grandparents left their homeland in what is now Lebanon and traveled to the United States of America in A.D. 1905. (My paternal grandparents came from Czechoslovakia at about the same time but died when my father was just a young child.) 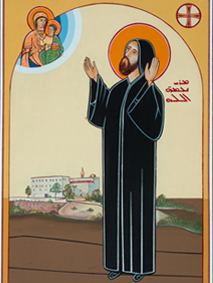 My maternal grandparents brought with them the faith of Abraham, Isaac and Job in its fulfillment...in their Maronite Christianity. My grandfather was buried in Hasserat, Jubayl, in 1926. My grandmother was buried in Cleveland, Ohio, in 1967. I have prayed at both of their burial places. I have also prayed at the tomb of Abraham, in Hebron. The only begotten Son of God was born in the place where Africa, Asia and Europe meet. He lived briefly in Egypt (Matthew 2:14-15) and visited the area of Tyre and Sidon (Mark 7:24-31) where he was well received (Luke 3:8). Jesus was crucified, died and was buried in Jerusalem and, after his resurrection, the Church was born in an upper room in Jerusalem (Acts 1:13). 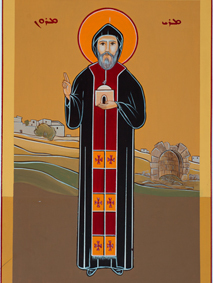 St. James, a kinsman of Jesus, was the head of the Church in Jerusalem (Acts 15:13-34). 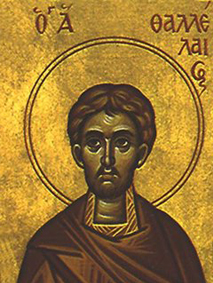 St. Stephen, a deacon, became the first Christian martyr when he was stoned to death outside the gates of Jerusalem (Acts 7:60). 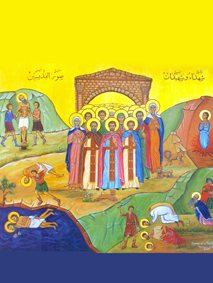 St. Paul experiences his dramatic conversion on the road to Damascus (Acts 9:3 22:6). Syrian Antioch was maritime city and, under Roman control, it was the capital of the Province of Syria. St. peter went to Antioch and founded the Church there before going to Rome. 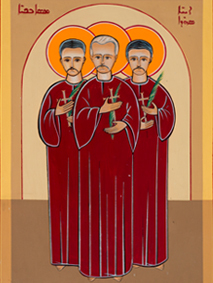 In Antioch, the disciples were called Christians for the first time (Acts 1:25). Antioch was the birthplace of the foreign missions (Acts 13:1-3). Sts. 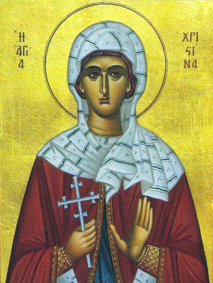 Paul and Barnabas reported to the Church at Antioch following their first missionary journeys (Acts 14:25 18:22). 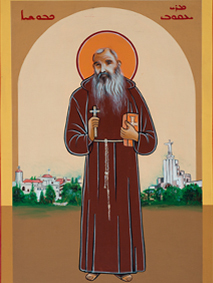 St. Paul visited with Christians of Sidon on his way to Rome (Acts 27:3) and with the Christians of Tyre on his way back from a mission to Greece (Acts 21:3-7). 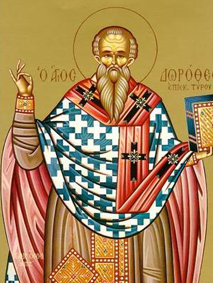 Tyre became an early and great Christian center and the Bishop of Sidon, Theodorus, attended the ecumenical council of Nicaea in 325 which formulated the Nicene Creed. The world's first basilica was built in Tyre. 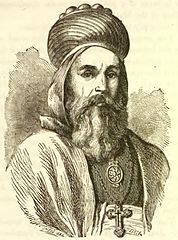 It is believed that Abraham was an Aramaic. The Aramaeans had come out of Arabia shortly before the time of Abraham. Damascus became the center of Aramaean culture and influence west of the Euphrates. In the Bible, Aram is the name for what we today call Syria and, after 500 B.C., Aramaic was the official language of the Persian Empire. Jesus and the Apostles spoke the Galilean dialect of Aramaic. 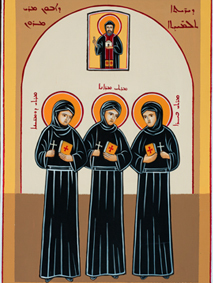 With the spread of Christianity, the language of the Church in Syria, Lebanon and Iraq became the Aramaic dialect of Edessa (Urfa, iraq) which was called "Syriac." 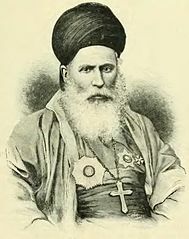 According to Philip Hitti, LEBANON IN HISTORY page 252), "The Maronites were an offshoot of the Syriac speaking (Suryani) Church...The Liturgy of the Syrian Church and of its offshoots antedates any Greek or Latin liturgy. 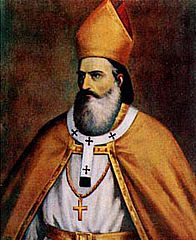 Traditionally ascribed to St James, (kinsman) of Christ and head of the Church in Jerusalem, it is undoubtedly the earliest in the history of Christianity, with its primitive roots going back to the Last Supper and the 'upper room' in Jerusalem (Acts 1:13). 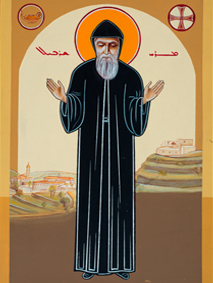 Maronites owe our name to the patron saint of our church, Maron, an ascetic monk who was born in A.D. 350 and died about A.D.410. 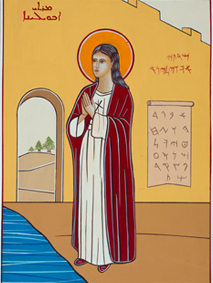 In an effort to avoid the intrusion of Hellenistic influence on the theology, liturgy and culture of his Semitic Christianity, Maron left Antioch to live on the banks of the Orontes River in a pagan temple he had converted into a church. 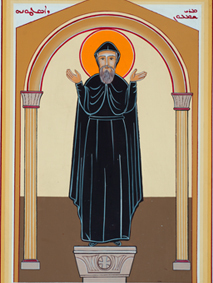 There other Christians gathered around him and came to be known as Maronites. 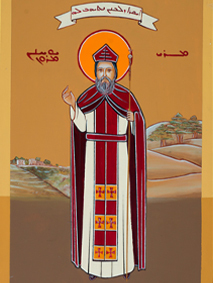 In the 7th Century, Maronites sought sanctuary in the mountains of Lebanon and, in 687, John Maron was elected the first Maronite Patriarch of Antioch. 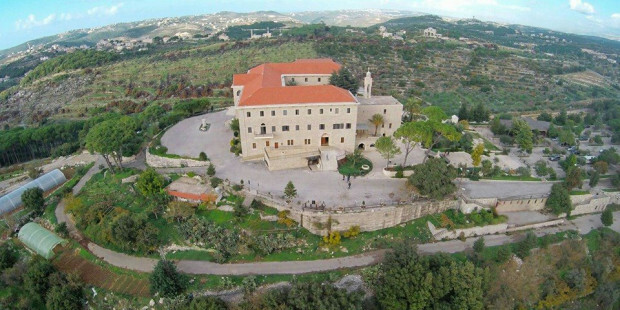 Today, his Beatitude Nasrallah Peter Sfeir holds the title of Maronite Patriarch of Antioch and All the East and resides in Bkerke, Lebanon. 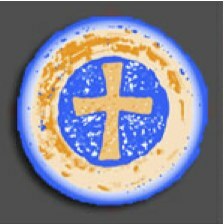 Christians of the native liturgies of the Middle East represent the remnants of the oldest liturgies, cultures and theologies in the lands of the Bible. It is our ancestors who lived out the dramas of the Old and New Testaments and to whom the task was given to take forth to all the nations the good news of the Gospels. 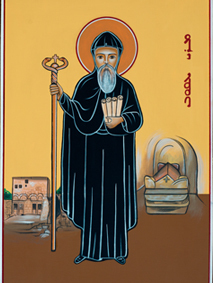 The ancient patriarchates of Jerusalem (St. James), Antioch (Sts. 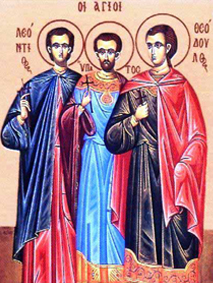 Peter and Paul), Alexandria (St. Mark) and Chaldea (St. Thomas) represent an unbroken Apostolic legacy in the culture and tradition which gave birth to them. 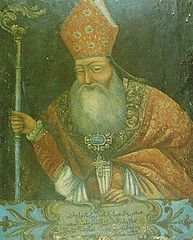 Middle Easterners of Latin, Byzantine and Armenian rites whether catholic or Orthodox, enrich the mosaid of Christian diversity. We all equally "belong" in the lands of the Bible, as do the various Arab Protestants. Every Christian is precious and important to God's work. The responsibility was placed upon us to be the "light of the world" (Matthew 5:14). Our "light must shine" so that humanity "may see goodness in (our) acts and give praise to (our) heavenly father." (Matthew 5:16). "There does not exist among (us) Jew or greek, slave or freeman, male or female. All are one in Christ Jesus." (Galatians 3:28). Jesus said, "I give you a new commandment: Love one another. Such as my love has been for you, so must your love be for each other. This is how all will know you for my disciples: Your love for one another." (John 13:34-35). We are the heirs of the promise, the children of Abraham (Galatians 3:29). The Kingdom of God is among us (Luke 17:21) and it is a kingdom not of this world (John 18:36). My grandmother brought her deep faith with her to America. 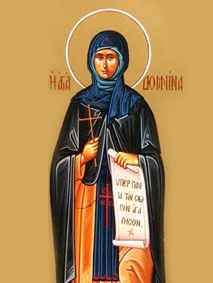 Although she could neither read nor write, she was filled with faith, hope and love. 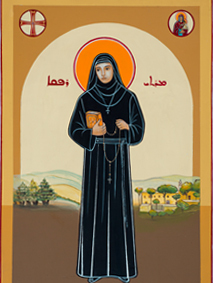 She was a Maronite and believed that god lived within her and that she lived within god. You have united, O Lord, your divinity with our humanity and our humanity with your divinity; your life with our mortality and our mortality with your life. You have assumed what is ours, and you have given us what is yours, for the life and salvation of our souls. 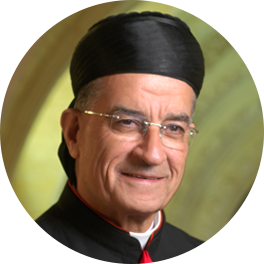 "From the Maronite liturgy"
The Eastern Catholic Patriarchs maintain that we are "an inseparable part of the cultural identity of Muslims...Muslims of the East are an inseparable part of the cultural identity of Christians." Since we are responsible for one another, we obviously should communicate with one another. We must learn to know and appreciate the history, culture and spiritual values of Arab Muslims, be they Sunni, Shiite or Druze. 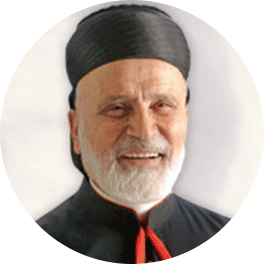 Patriarch Sfeir says that "the vocation of Lebanon is to be the country of coexistence between Christians and Muslims, with complete understanding and mutual respect." 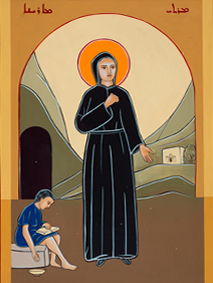 This vocation must extend to the emigrants as well. Certainly in the United States of America - a country in which Christians are a majority - we should be able to extend the hand of brotherhood to Arab Muslims in our midst. We should treat them as we wish Christians to be treated in the lands in which Muslims are the majority. (Matthew 7:12). We have been instructed to love God with all our being and to love our neighbors as ourselves. We have been told clearly that these are the greatest commandments (Mark 12:30-31). We have been advised to love our enemies (Luke 6:27-29) and cautioned that those who use the sword are sooner or later destroyed by it (Matthew 26:52). In this age of mass communications, it becomes increasingly evident that all of humanity are our neighbors. On a daily basis, weapons of mass destruction are used to kill and maim those whom we have been commanded to love. We are all witnesses to the bloodletting. We may render to Caesar what is Caesar's (Luke 20-25) but as Christians we have another, higher priority to a kingdom that does not belong to this world (John 18:36). 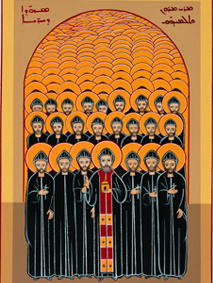 Jesus Christ commanded us to "go forth to all nations" (Mark 28:19-20) to proclaim the brotherhood of Man under the Fatherhood of one, loving and merciful God. We do not live by the strength of our arms but by the strength of our faith. We did not survive to this time in history to proclaim another nationalist movement or another political party or another military force or another war. 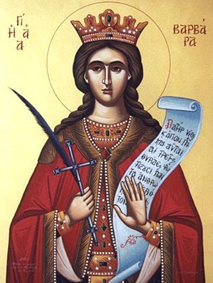 I propose the following: Maronites should seek out their roots and learn who they are and what they represent, while remembering that the "Kingdom of God" is not a political or economic concept. 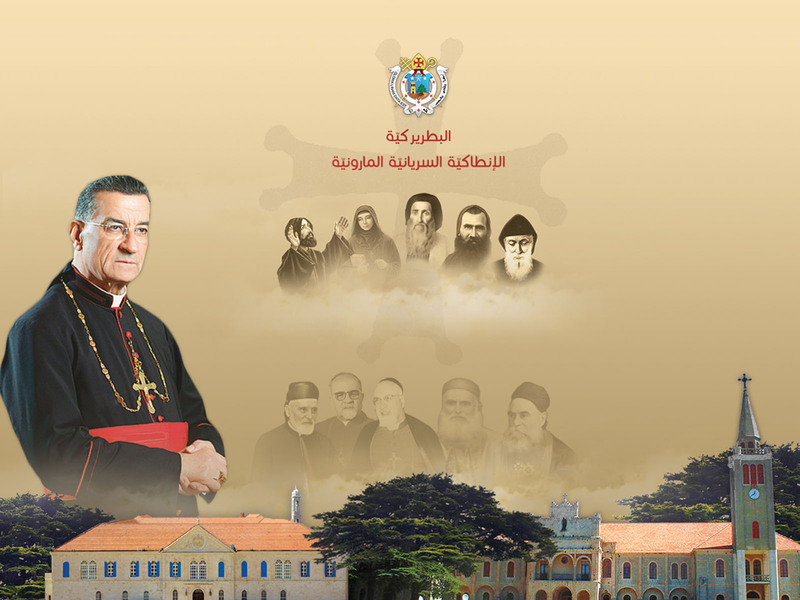 Maronite parishes should extend themselves to the communities in which they live and gather a coalition of local Muslims and non-Maronite Christians of Middle Eastern descent or origin. Regular dinners, meetings and gatherings should be held and should be conducted in the spirit of brotherhood and reconciliation. In an effort to educate ourselves and one another, Muslim and Christian authorities on the various sects and rites should write an explanation of their history, and distributed through the churches and mosques. With the realization that we all worship the same God, interfaith prayer services should be encouraged. 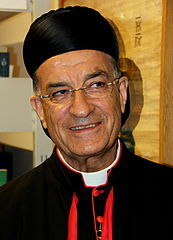 Perhaps meeting with Christian and Muslim brothers and sisters in the and informality of private settings and communicating with them in a spirit of love and understanding will begin the healing process. 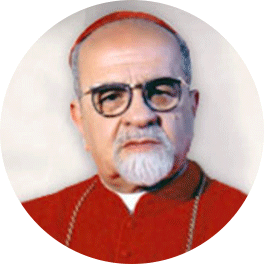 Maronites alone cannot determine the future of the Republic of Lebanon. We can, however, seek the guidance of the Holy Spirit and respond to our Christian mission. 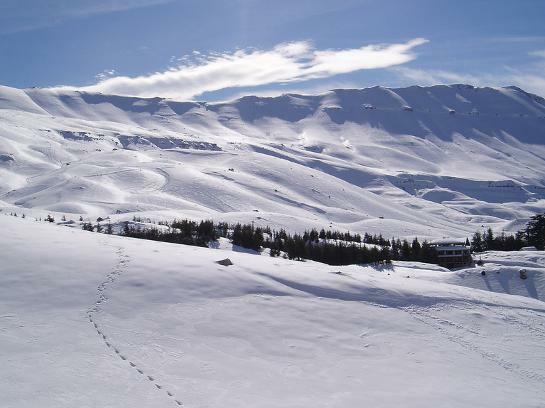 Come from Lebanon, come! 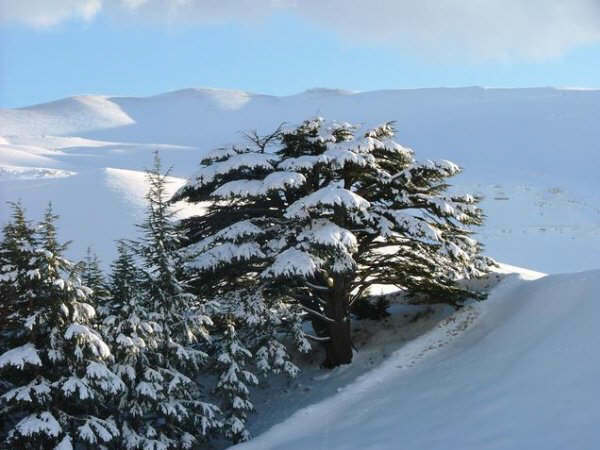 Descend from the top of Amana, From the top of Senir and Hermon... How beautiful is your love... And the fragrance of your garments Is the fragrance of Lebanon.